The Tenryu Furaibo TF39 and TF39TA are tenkara rods made in Japan by a small company that is not yet well known in the US. They are not the world's least expensive tenkara rods. They may be the very best. At the International Federation of Fly Fishers International Fair in Livingston, MT I was fortunate enough to spend some time with Miyoshi "Mike" Shiozawa, the Chairman of Tenryu. Mr. Shiozawa was representing the Japan Federation of Fly Fishers, of which he was the President. Although I did manage to fish for about a half hour, the purpose for my trip to Montana was just to meet him. Miyoshi Shiozawa with white spotted char and Tenryu Furaibo TF39. As you might expect, we talked rods. Mr. Shiozawa has been making rods for a long time. In the Fly Fishing Museum, also located in Livingston, MT, there is a tenkara exhibit. It turns out that the tenkara rod in the exhibit is a rod that Mr. Shiozawa made for Gentatsu Kuwabara over thirty years ago. The Tenryu Furaibo TF39 and TF39TA are designed for experts, for people who are just as particular about their equipment as Kuwabara san was. Decades of design and manufacturing experience went into these rods. 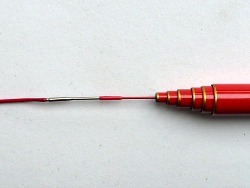 Both were designed to produce a tight loop cast, and it takes only a flick of the wrist to load the rods. Although they were designed to meet the expectations of very experienced anglers, the design allows even complete beginners to cast the rods easily. In the fifth episode of Tenkara in Focus, Go Ishii said of Tenryu "Many think that Tenryu makes the best blanks in all of the companies in Japan." 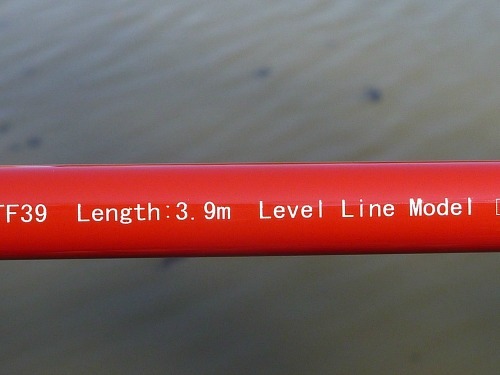 Both rods were designed to perform well with level lines. When I first fished with a Tenryu Furaibo TF39 a few years ago, I was surprised. Up until then, I had barely heard of the Furaibo TF39, yet it was a nicer casting rod than the Daiwa LL41SF, which was a well known rod and was my favorite level line rod at the time. At first, I only used a size 3 line with either the TF39 or the TF39TA. Mr. Shiozawa himself fishes the rods with a size 3.5 line. Misako Ishimura, co-author of the first book on tenkara written in English, prefers a size 4 line, particularly when she uses the rods for her workshops to teach tenkara to beginners and children. The Tenryu Furaibo TF39 is one of the smoothest casting rods there is. Most tenkara rods are 99% carbon. The Furaibo, though, is 83% carbon and 17% glass. 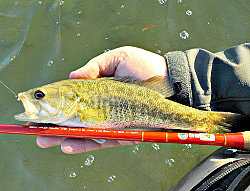 For some time now, there has been a renaissance in fiberglass fly rods. They are just so smooth. 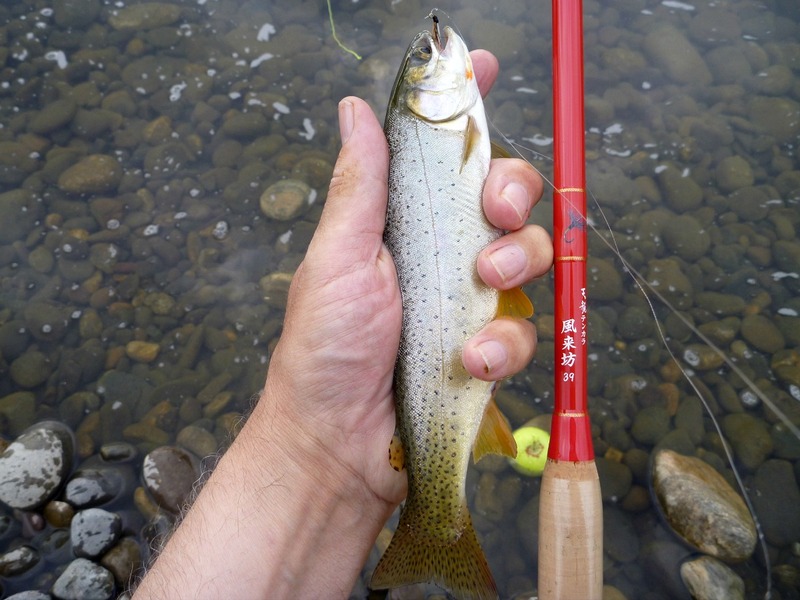 Tenkara rods are long enough that a 100% glass rod would be much too heavy. The Tenryu designers and engineers added just enough glass to the mix to produce a wonderfully smooth rod without adding too much weight. I have come to appreciate Mr. Shiozawa's line choice. With the TF39, casting a size 3.5 line is just effortless. The line is heavy enough to perfectly load the rod (and you can feel it), yet light enough that you can still keep line off the surface. Stop the forward cast with the rod tip high and execute a fly-first cast every time. 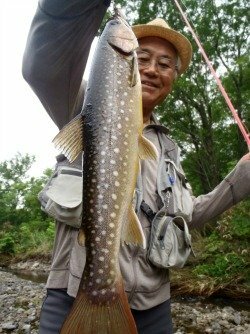 Yuzo Sebata, who could fish with any rod he wants, fishes with a Tenryu Furaibo TF39TA, and fishes it with his hand-twisted yellow nylon mono tapered line. Even though it is a heavier line, the TF39TA casts it well. Many tenkara anglers believe a "zoom" rod is too much of a compromise, with the rod performing well at only one of the two or three lengths. The Tenryu Furaibo TF39TA was specifically designed to perform equally well at all three lengths. People have asked me why the rod carries a high price. Part of the answer is the exacting design, materials, and manufacturing attention to detail that go into the rod. The result is an exceptional rod, but one which cannot be produced cheaply. You will not find anything like it from any of the Chinese factories that supply rods for the American or European tenkara rod companies. The TF39TA collapses to just 14"
The TF39TA was the first backpack-friendly rod I found that was designed for level lines. It truly is unique. Despite collapsing to a length of only 14 inches (even shorter than the Daiwa Keiryu-X) is not a stiff rod like the Keiryu-X, the Suntech Genryuko or the Sakura Kongo. Nor is it a delicate, thin-walled rod like the Nissin Pocket Mini. It has the action a tenkara angler would expect in a premium tenkara rod with a more standard 22 or 23 inch collapsed length. It is the only rod on the market truly designed for ardent tenkara anglers who backpack, rather than for the ardent backpacker who may want to fish a bit along the trail and who is willing to accept a relatively stiff or relatively delicate rod just because it fits in the backpack. The Tenryu Furaibo TF39TA is a rod for the tenkara angler who wants a great rod that casts well and fishes well - and also fits in the pack. This is the rod, indeed it is THE rod for all the people who have asked me for a rod for the John Muir Trail, or the Pacific Coast Trail or the Appalachian Trial. It just hasn't been available - until now. 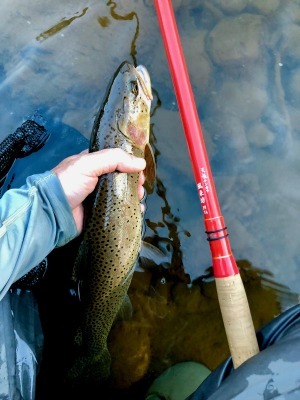 Both rods can handle nice fish, like this cutthroat caught with a TF39TA. A few years ago I wrote two articles for Backpacking Light on tenkara rods for backpackers. Had the Tenryu Furaibo TF39TA been available back then, it could have been just one very short article. If you value the fishing as much as the backpacking, this is your rod. Period. 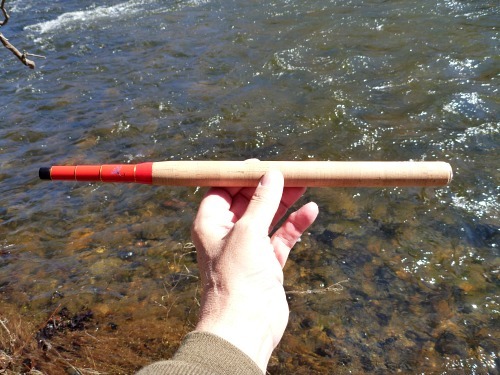 Over the last couple years a number of backpacking tenkara rods have been introduced. Not a one of them is even close to the TF39TA in terms of quality or performance. All that said, you don't have to be a backpacker to appreciate the Tenryu Furaibo TF9TA. 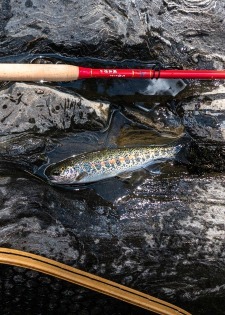 If you fish a variety of waters, from tight overgrown streams to larger, more open streams to rivers and lakes it could be just the rod for you. If you want the quality and attention to detail that you get in a Japanese rod, and you also want a cork grip, it IS just the rod for you. Travel much? The rod will fit in any carry-on. I asked Mr. Shiozawa how the sales figures compare in the Japanese market, expecting that because of the higher price, many fewer of the TF39TA would be sold. I was surprised to hear that sales are about the same for each rod. In the US, the TF39TA sells better than the TF39. There are quite a few premium tenkara rods. For backpacking rods, though, the TF39TA stands alone. 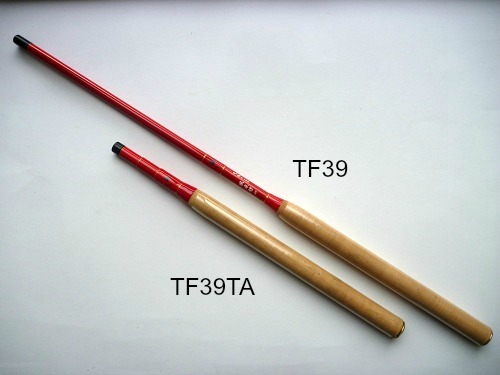 Both rods, but the TF39TA in particular, really deserve the name Furaibo. Like so many Japanese words, there is no English word that is an exact translation. The closest is "vagabond" but furaibo also carries a sense of "free spirit" or breaking free of rigid feudal bonds, of wandering "wherever the winds may blow you." Indeed, the first character in the name, 風, means wind. If you are (or would like to be) a wanderer, going where the winds blow free and the rivers run cold, beholden to no one, this is the rod to take with you. 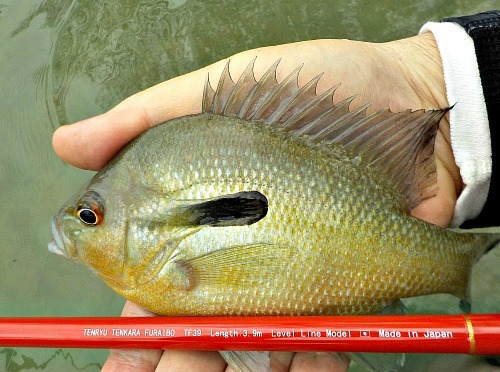 (Yellow Belly Sunfish in Texas, Red Breast Sunfish in the Northeast). Don't think the Furaibo is only for trout (even though in Japan they have yet to learn that tenkara rods are lots of fun with sunfish). They have sunfish but don't fish for them with tenkara rods. No one knows why not. The first thing you will notice about a new Tenryu Furaibo rod when you take it out of the shipping box is that it doesn't come in a plastic display case. 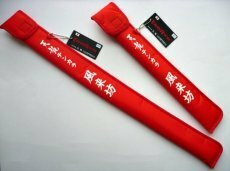 Instead, it comes in a bright red nylon padded sheath. Inside is a slim stretchy rod sock. The next thing you'll notice is that the rod is not your basic black. It is red! (Well, maybe red with a very little orange mixed in.) The sections are perfectly smooth, with absolutely none of the little spiral ridges that many rods have. The finish does not look at all like the usual tenkara rod paint job. It looks more like an enamel finish, or maybe even a traditional Japanese Urushi lacquer finish. It really is quite striking. By the way, the Japanese, who have been fishing with very long rods for a very long time, do not believe that a red rod scares fish. For that matter, they don't believe that a glossy rod scares fish, either. If they did, all their rods would have a matte finish rather than just a very few. 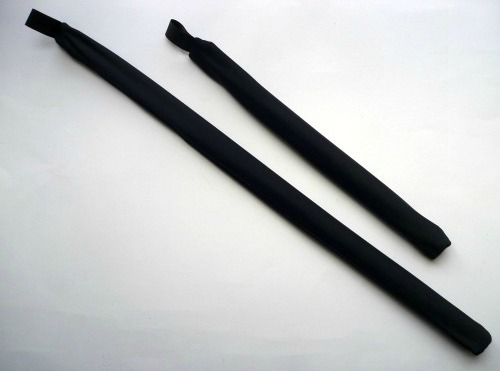 The Tenryu Furaibo grips are very good cork and do not have the two "humps" common to many tenkara rod grips. A cylindrical grip allows you to grip the rod where you want to rather than where a rod designer thinks you'll want to. The grip screw cap is metal. It is unobtrusive and does not extend far beyond the end of the cork. There is a ventilation hole, although I still recommend fully disassembling the rod between uses to dry out. The cap is knurled and also has a coin slot in case you want to tighten it past hand-tight. 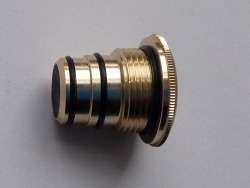 The TF39 screw cap does not have an O ring, so using a coin to tighten the cap is a good idea. The grip screw cap for the TF39TA has two rubber O rings to keep the zooming sections snug when the rod is not fully extended. The zooming sections are held tightly enough that they will not extend when you do not want them to. It will help to twist the zooming section slightly to make sure it is seated over the "O" ring. I had read an early account from a buyer who purchased the rod in Japan suggesting the sections were not secure at the shorter settings. I suspect he did not have them fully seated. I have not noticed that problem with any of the rods I have in stock. The zooming sections are not held as tightly as they are on some other rods. They are held tightly enough. They do not come loose by themselves. Tighter than that is tighter than necessary. The lillian is attached with a micro swivel that easily passes through the second section for disassembly. 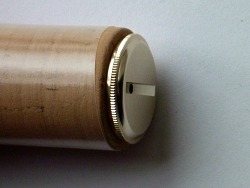 The tip plug is hardwood and is slotted for a snug fit. It is not designed for use when the line is still attached. Although the slits are wide enough to accommodate a level line, there is a risk of getting the lillian caught in one of the slits and having the first section come out when you remove the plug. 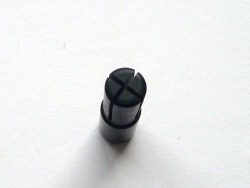 The TF39TA tip plug is considerably shorter, but has the same crossed slits for a good fit. Length extended 11', 11'11", 12'8"
Please note: International shipments valued at more than $400 cannot be mailed via First Class mail. International Priority Mail is substantially more expensive. Please request a quote before ordering. 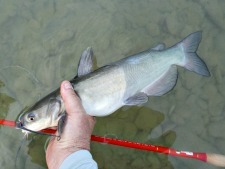 Redband Trout - Kevin S.
Guadalupe Bass - John E.
Channel Catfish - John E.
I don't usually write cap reviews, but I feel compelled after Robin gifted me with the beautiful Tenryu cap. 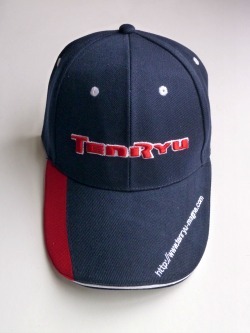 Just like their rods, the Tenryu fishing caps are a cut above. I really like the comfort, shape, and color scheme. If you enjoy caps at all, you'll appreciate this one. I found a little stream this morning at an urban fishing spot (that almost no one fishes!) and caught half a dozen little largemouth bass on the Furaibo that were up in six inches of water. The largest one was probably only 10" long, but what fun! The Tenryu Furaibo rods are a step above. The sections fit together precisely, the aesthetics are beautiful, and the casting action is second-to-none. These are top-notch rods in every respect. The rod is fantastic; it is a work of art and a joy to use. The rod is a dream. I never thought there would be so much difference between Tenkara rods.